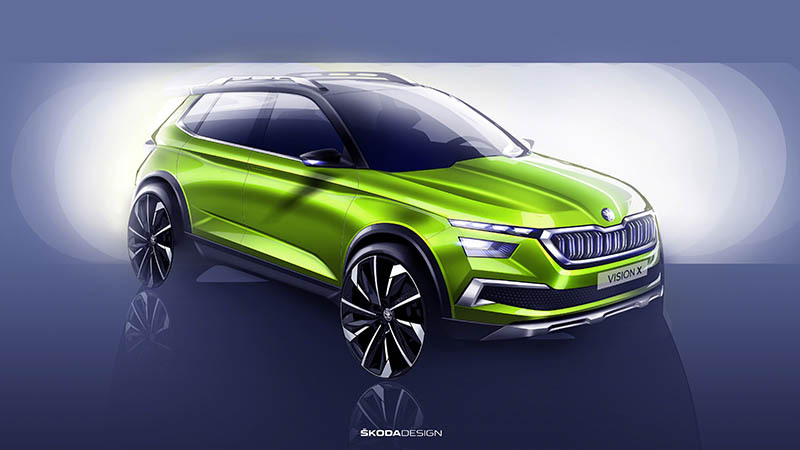 At this year’s Geneva Motor show, the spotlight will be on the world premiere of the Škoda Vision X design study, which offers an insight to future designs at the brand. With the hugely successful Kodiaq and the recently launched Karoq SUV, the brand has its sights set on a third SUV in its portfolio. The Vision X study transfers the brand-typical design language used in the current SUV line up, into a further vehicle segment. The VISION X also features crystalline design accents, inspired by traditional Bohemian glass art. The large touchscreen display is new and enables a new operating concept, in terms of infotainment and connectivity. The hybrid drive concept is particularly innovative – it couples a CNG-powered (compressed natural gas), four-cylinder, turbo engine with an electric drive and thereby allows for particularly low fuel consumption and emissions.